You can bring me flowers when I’m dead and gone. One of my favorite artists is Ray Lamontagne. You probably know him. He sings that one song, “Trouble”, and I mean just YouTube it. Ten bucks says you’ve heard it before. Now, a little fact about me. 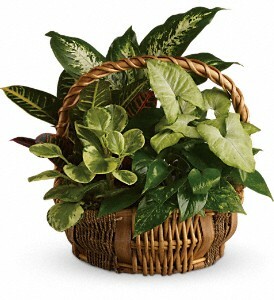 I don’t have a green thumb. I have a black thumb. If you give me a flower I will kill it. (and give it an awesome funeral, *snare, snare, cymbal* it’s a joke…..get it….) But I LOVE flowers. My fiancé will give me flowers for no reason whatsoever and I become the happiest girl. And I’ve heard it all before. When I’m making pre-arrangements with people there are the excuses. Flowers are expensive. I’d rather enjoy flowers when I’m living rather than in my death. Blah, blah, blah. And guess what. YOU DO HAVE A POINT. But I am here today to defend the funeral flowers. Now, back in the day flowers were used for a few different purposes for the funeral. One of them being that the beautiful smells would mask the sometimes ‘not’ so beautiful smells of the deceased. And thanks to advances in embalming and preservation, today we *hopefully* don’t experience those not so nice smells anymore. But I’ve seen the look on grieving people’s faces when they walk into the visitation room for the first time to see their loved one. The beautiful colors captivate their eyes. The wonderful smells fill their noses. And the softness of the petals beautifully surround their deceased. Flowers make people smile. As a widow runs her fingers along the red roses she also reads the sympathy card that accompanied them. And her heart hurts just a little less in that moment. We send flowers to make an ugly situation more beautiful. We send flowers to show that even in death, there is life. So yes, you can send me flowers now. Please do! But also, please send me flowers when I’m dead and gone. Because when I’m dead, they won’t just be for me. They’ll also be for those I’ve left behind. And sometimes, a little rose is enough to remind someone in the darkness that there is still light. I worked as a florist and delivery girl for a while. 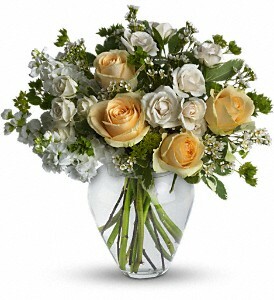 Funeral arrangements were a big part of the job and we put a lot of thought into them. Working with grieving families is special and the hope is that something as lovely as a plant will remind them of better things. 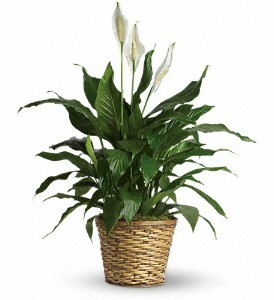 My favorite for easy care are peace lilies. 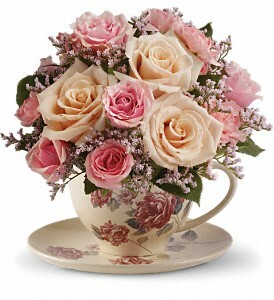 I’ve heard funeral directors grouse about hauling the flowers, it’s so refreshing to hear your appreciation. Sometimes I think our society has dismissed the healing power of flowers. So symbolic of the life cycle and brings beauty during a dark time. When my dad passed, he had a same day visit/funeral. Snowy weather required transporting him from Chicago to Michigan the next day (we did graveside in May). We took the flowers home to Iowa, as is, in the sprays, and when I got home I tore them apart and rearranged them in separate vases. I also took pictures of the rearrangements and used them on a screen saver. I so enjoy your blog. My DIL is an apprentice director and these really help me understand her work on a more personal level. Thanks! I have become obsessed with your blog and I’ve read nearly every single post! You’re so inspiring and your outlook on life .. Or should I say death? Haha is just beyond beautiful and it’s completely opened my eyes, this post about the flowers though got me a little bit! I never even thought about why they were used, or that families could take them home afterwards!